Adware is an unwanted software, it is short for advertising-supported software. What adware does is that it will automatically deliver advertisements on your web browser. When you are on a website and you get a pop-up ad, banner ads, full-screen ads, auto-play commercials and other various ways online advertisements that is adware. Adware is done for marketing purposes. It is used by advertisers as a revenue generating tool. What it does is that it actually tracks the websites that you visit and will then generate advertisements based off of those. An example of this would be if you were previously looking at furniture on a website and then go to your Facebook and are scrolling through it and then see an advertisement for that same furniture store that you were just looking at. Adware is usually paired with Spyware which has capabilities to track user’s activity and even steal information off the user’s computer. When paired with spyware adware is more dangerous than when on its own. For advertiser’s adware generates revenue based off of per-click payments that are made form the user clicking on the ad and buying said product. Though it may not be harmful unless paired with spyware adware is annoying and intrusive to the user’s privacy and can have malicious software paired with the advertisement that is clicked on. 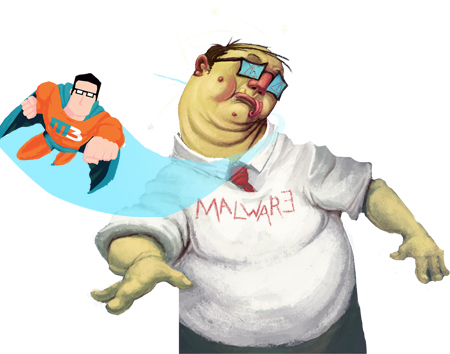 It is best to run MalwareBuster at least once a week to make sure that you do not have any type of malware on your computer to keep it running at its highest efficiency. https://malwarebuster.com/ today and remove the adware form your computer.